Lately I've been hooked on the Japanese reality TV show Terrace House streaming on Netflix. The intro sequence has some good lessons for montage editing and a very practical reason you'd want to cut to the beat of the music. I don't typically watch "reality" TV, but it's an entertaining and refreshing take on the familiar premise of "A bunch of beautiful young people live together and we see what happens." The novelty is that it's intercut with commentary segments by a group of 6 Japanese celebrities and comedians whose discussions are very entertaining. The intro sequence features a montage followed by mini-montages for each person currently living in the house. I'm a huge sucker for cast line up montages in TV intros or trailers; Terrace House's does a great job. In Japan the intro song is New Romantics by Taylor Swift, and in other regions it's Lights Followby Matthew Heath and Grady Griggs. The two songs are roughly 125 beats per minute which is important because that means a montage edited to one song can still fit to the other. It makes sense that the Taylor Swift song was chosen first since it would've cost the most to license, but I checked the sync on both songs, and I feel pretty confident saying that the "Lights Follow" song is what the editor cut the montage to; this makes sense since the audience outside of Japan is much bigger, so more people will see that montage than the Taylor Swift one. When you clap along to the beat of the music, you'll see that individual motions will often be in sync with your hands in the lead up to your hands touching; this is a good way of thinking about how to cut to the music. If there's something in motion leading up to the beat, you're in good shape. There are a few things that are very well synced like the speed of a cast member's walk matching the beat, and also there's a shot of a character whose clap is literally to the beat of the music. These sorts of things are definitely not coincidences. Shots like this are always used in trailers to lead in to something big happening. This intro montage is fun to watch for a number of reasons. First is that it's very readable. Our brains are programmed to "read" human faces very quickly. We see faces in everything, but if there's a human face on screen, we're going to recognize it faster than practically anything else you could have a shot of. This means that shots with humans in them can be cut very quickly. I always encourage people to make their montage shots very readable, but if you have a human face, you can make those even shorter than you would otherwise. Shots of faces by themselves wouldn't be very interesting though. Each shot in the montage was chosen for just one motion or a repeating motion like walking. This is something I do in my trailers all the time; I try to find one motion to catch the eye and make the montage more exciting to watch. In the Terrace House intro, the motion includes things like: a person walking, the hair dresser moving a comb to his other hand, a baseball being pitched, a woman adjusting her hair, or a person hitting a pad. This adds visual interest and draws the eye. Humans vision isn't based on movement like Jurassic Park's T-Rex, but our vision respond to movement, especially if it's something simple. Too much movement becomes chaos which causes us to tune out, but one small motion is very eye-catching; so if you're editing a montage, find a motion to catch the eye instead of a static shot. A shot of her looking down isn't nearly as interesting as the motion of her hand coming down from adjusting her hair. The other lesson from this intro is very practical. 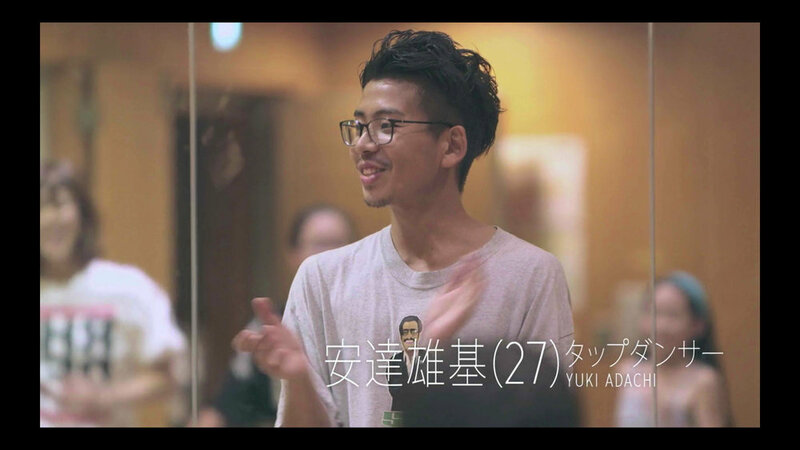 The cast in Terrace House shifts over the course of a season as members come and go from the house. When this happens, the mini-montages get shifted around to fit new mini-montages. The order looks arbitrary, but I think that the order comes from the editor deciding which mini-montages fit each part of the song best. For example, Minori Nakada's position in the montage never shifts despite all the cast changes; I think it's because her walking best fits the lyric "day to day" perfectly where it is. Later on, Arman's punching a pad always is in sync to the beat of the music. As long as the editor remembers what was in sync in each montage, it makes it easier to re-sync when shuffling them around. I'd wager that the editing of each mini-montage has the best sync when a new cast member becomes part of the intro, because the editor was free to sync their editing to the music again, but when it got shifted around they had to do their best with that they have, because I checked and the edits of each mini-montage were the same in all the intros. I found some very very minor differences between some member's mini-montages, but nothing that suggested to me that the editor adjusted the montage editing every time they had to re-shuffle the order. Clapping is always good fodder for beat matching or leading into a big hit. That said, each mini-montage is still cut to the beat, which meant that even if the sync wasn't as perfect as in their original position, they could still be synced to the beat. In trailer editing, sometimes I have to shift a shot or series of shots to a different section of a trailer, and cutting to the beat means that it minimizes the pain of re-editing a shot when it has to be moved. So when watching TV intros especially, check for small motions in each shot; I think you'll see it more often than not. If you're editing montages with very fast shots, find single movements to make it more fun to watch! For those of you watching the "Opening New Doors" season on Netflix, here's a recut version of the intro that I made using the original song "Slow Down" by Lights Follow (which was replaced by another song). I had to speed up the cuts for the beginning, and find some proper sync points for the big moments in the song, but it largely all lined up very well once that was done. Enjoy!